Last night, I was reading a novel by a highly respected horror author and I noticed a basic mistake that I see over and over again. In this novel, which is a sequel to another very good book, a small town has been decimated by vampires. Of the original 430 residents of this small town, only a dozen are left alive at the beginning of the sequel. The town’s sheriff was killed in the first book, and the second book starts off with a replacement sheriff coming into the community to take over as the top law enforcement officer. This new sheriff is of course curious about what happened to all the people, and sets out to solve the mystery. But unfortunately for the new sheriff, the town’s vampire problem is far from over. I thought so. It’s an excellent set up for a sequel. However, for me at least, the effectiveness of the story was compromised by the glaring mistakes in police procedure. And I’m not talking about the minutae of investigations and paperwork, either. I’m talking about the broad brush strokes, the big picture. And it’s all the more frustrating for me as I know this author. I’ve had dinner with him. We’ve talked police procedure before. This mistake would have been easy to correct. Well, I can’t do anything for him now, but I can help any future authors out there looking to stick a sheriff into their story. What follows is a quick and dirty guide to sheriffs, police chiefs, and state police, and when to use them. I hope it helps you. I have written before on the critical role police procedure plays in horror stories, but it’s a point that profits from repeating. Many horror stories are plotted as tales of discovery. We generally start off with one person (or sometimes a small group) crossing from the comfort of normal existence into a strange and ominous new setting. This can involve the protagonist traveling to a new place, such as going into the woods or breaking down in a small, weird little town, or by having their familiar world made sinister and claustrophobic by the introduction of some evil force that comes to them, such as having a bloodthirsty vampire coming to town or by having a killer stalking the babysitter. Once the evil is introduced, a period of discovery ensues. Here, the character, or characters, begin to realize what they’re up against. Perhaps they learn the secret that will help them fight the monster, or perhaps they will learn how truly screwed they really are. Either way, this is the part of the story where the protagonist starts to feel alienated. The police are a great way to accentuate this isolation. Consider how easily a horror story would fall apart if the protagonist could simply go to the local cops and say, “There’s a giant gelatinous blob eating the town!” and be believed. Our protagonist could then step back and let the police do all the work. But we know from years of reading and watching creature feature flicks that this never happens. The police either can’t or won’t believe the protagonists, which drives the characters further into isolation and ramps up the scares. The only thing left for our protagonists to do is resolve the matter on their own, each according to their wits. The police generally fall into a sort of negative role in horror fiction…or, put another way, have a tendency to become lesser antagonists. As the authority figure that refuses to provide the needed assistance, they become part of the evil, or another brick in the wall the protagonist must overcome, to borrow a Pink Floydism. They can even be their own worst enemy, as in the novel that prompted this post. For example, everything a cop does is a matter of public record. As the strong arm of the law, a free and just society has every reasonable expectation to know the things the police do in their name. Furthermore, because a police report to some degree validates an event (i.e. the murder or burglary or car crash or whatever really did happen because it’s contained in a police report), the police fall into the role of fact makers. But what happens when the very character responsible for reporting the facts confronts something that simply can’t be? If our protagonist is a police officer, he not only becomes alienated from authority, but from the very authority of which he is a part. It makes for great drama. But how do you know what type of cop to use? Well, hopefully, the following matrix will help answer that question. And, as always, feel free to write me in the comments section with specific questions. I’ll try to get you the right answer. For each category (Novel, First Novel, etc) there are potentially TWO ballots: one for the works that proceed from the recommendations (‘Recs’) ballot and one for the works that proceed from the Jury ballot. A short explanation of the system for determining for the Bram Stoker Awards™ ballots appears here. As the preliminary ballot is designed to produce three works for the final ballot in a category from each of the “Recs” and “Jury” ballots, if there are three or less works qualified in a category, they proceed directly to the final ballot. If you see four, five or six works in a “Rec” or “Jury” ballot below, that ballot will proceed to be voted on by Active and Lifetime Members and they are marked ‘Ballot Required’. No ballot required, the following works will proceed directly to the Final Ballot. Please note these works may not be described as Nominees until the Final Ballot is formally announced. ◦Morton, Lisa — Monsters of L.A.
About two years ago I wrote a short essay called “Zombies and Their Haunts” for Tor.com. After reading extensively in the zombie genre, and watching nearly every movie I could find, I kept coming back to the idea that there was a real connection between the zombies wandering the ruins of an apocalyptic America and the ruins themselves. 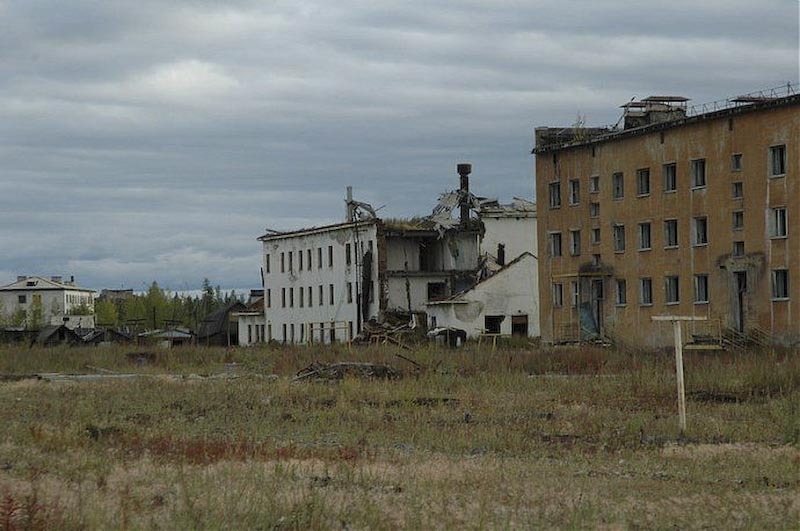 The abandoned buildings in the background seemed intimately connected to the zombie hordes doing most of the action. In fact, the connection, to me at least, seemed far more intimate than in any other sub-genre. “Zombies and Their Haunts” was my attempt to flesh out that theory. The editors at Tor.com liked it enough to publish it, and you can see a version of the essay here. Well, I’m happy to say that Armand picked up the essay, and 43 others from authors such as David Moody, Craig DiLouie, Jason Hornsby, Eric S. Brown, Tony Monchinski, David Dunwoody, W.D. Gagliani, and Tim Waggoner. The book, Zombie Writing, just came out today. It’s available in both a print edition and as an ebook. And as a special bonus, the ebook is free until Saturday. Richard Lee Beyers – Anywhere Left to Stumble, Anything left to Groan? Christian Jensen – Am I Fucked Up Because I Love Zombies? Dane Hatchell – Why Zombies? 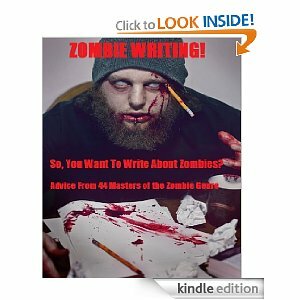 Sharon M. White – So, You Want to Write About Zombies? Carole Gill – Zombies: Way to Go! Thomas Scopel – Zombies…The Monsters That Ate a Genre! Kate Madison – Forget Pretty Vampires, Dirty Zombies Rock! There’s some good stuff in here. Hope you enjoy! 2012 is starting off with a bit of fantastic news. 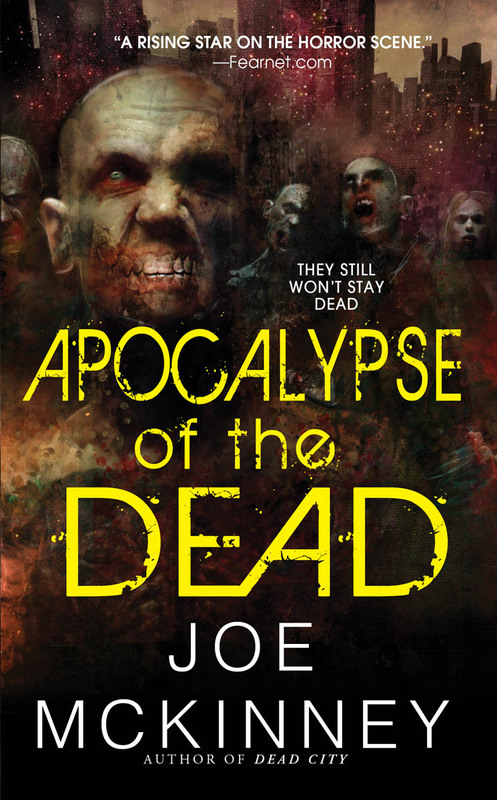 My novel, Apocalypse of the Dead, was just announced as the Zombie Research Society’s lead off selection for their 2012 book club list. The ZRS, in case you’ve never heard of them, is the brainchild of Matt Mogk, whose book Everything You Ever Wanted to Know About Zombies is probably the finest piece of zombie non-fiction I’ve ever read. Matt brings his unique style to the ZRS’s posts every day, covering everything about zombies, ranging from the best weapon to defend against them, how long can they remain a viable threat, to a comprehensive list of possible outbreaks throughout history. Seriously, check these guys out. Leave some time, though, because their site is loaded with the kind of content serious zombie enthusiasts love to argue about. And that’s why I’m thrilled to be a part of their book club. Matt tells me they’ve got a full schedule of events planned for me. First up is a detailed interview with me coming out on January 23, 2012. Matt, as I’ve said, really knows his stuff about zombies. We sat on a panel together in the Aliens to Zombies Convention in Los Angeles late last year, and we had a lively discussion then. Now that it’s going to be just the two of us, I know the discussion going to go deep. Following the interview will be a live question and answer session on Twitter on February 15, 2012. Everybody’s welcome for this one, and I’m looking forward to some great conversations with the book club participants. This will be my first ever Twitter-based interview, so I’ll be honest, I have no idea what to expect. It ought to be fun, though! So, if you read Apocalypse of the Dead, I hope you’ll join me for the ZRS’s book club. Information on the Zombie Research Society can be found here. If you like what they do, you can join them in their mission to educate the world. Here’s how to that. Also, you can get some general information on the book club and the important dates here. The following press release was just issued by HWA President Rocky Wood. Congratulations are in order for Guy Anthony De Marco, who will be awarded the Horror Writers Association’s Silver Hammer Award. Well-deserved, Mr. De Marco! The Horror Writers Association periodically gives The Silver Hammer Award to an HWA volunteer who has done a truly massive amount of work for our organization, often unsung and behind the scenes. It was instituted in 1996, and is decided by a vote of HWA’s Board of Trustees. The award is so named because it represents the careful, steady, continuous work of building HWA’s “house” — the many institutional systems that keep the organization functioning on a day-to-day basis. The award itself is a chrome-plated hammer with an engraved plaque on the handle. The chrome hammer is also a satisfying allusion to The Beatles’ song, “Maxwell’s Silver Hammer,” a miniature horror story in itself. The Board has voted to give the 2011 Award to Guy Anthony De Marco , who currently serves on the web team, and does a magnificent job of managing the web credentials, among many other duties. Prior to this he served as Chapter Chair. Guy has served the Association and its membership for the majority of the time since he joined in 2007. Guy will receive The Hammer Award at the Bram Stoker Awards™ Banquet in Salt Lake City on 31 March 2012. The Horror Writers Association is a worldwide organization promoting dark literature and its creators. It has over 700 members who write, edit and publish professionally in fiction, nonfiction, videogames, films, comics, and other media. For more information about the HWA or the Bram Stoker Awards, please visit http://www.horror.org. More information on the Bram Stoker Awards Banquet is available at http://www.stokers2012.org/. Press inquiries to president@horror.org. An Affiliate Member of HWA, Guy Anthony De Marco is a speculative fiction author, musician, teacher and computer expert. His short stories have appeared in several online and print magazines, including ‘Necrotic Tissue’ (three issues), ‘OG’s Speculative Fiction’ and ‘AlienSkin’. Guy’s stories also appear in the ‘Help Anthology’, two entries in ‘365 Days of Horror’ from Pill Hill Press, and the ‘Every Day Fiction Two’ anthology. He lives in Nebraska with his wife, Tonya, and has passed along the writing bug to his children, Kelsey, Caitlin and Eryk. His author website can be found at http://www.GuyAnthonyDeMarco.com/.